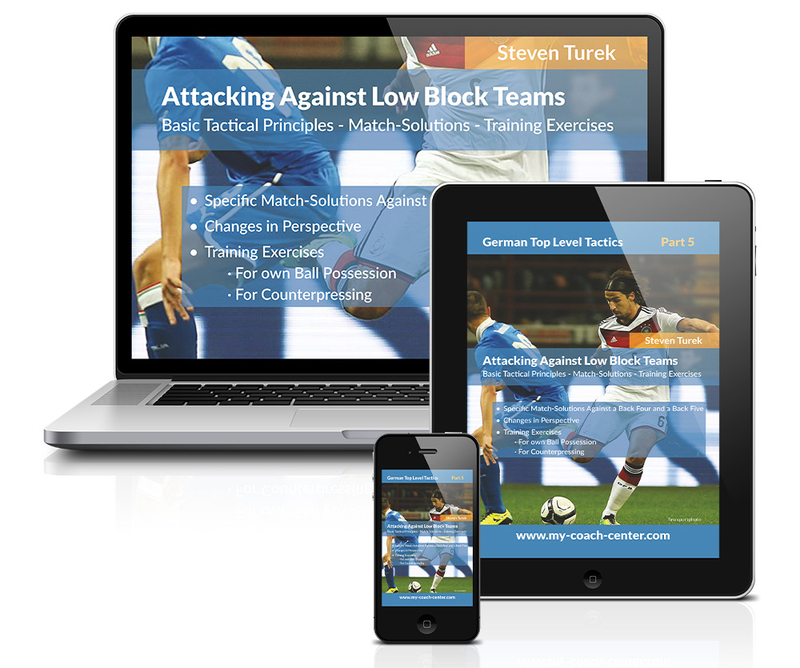 The fifth part of the series “German Top Level Tactics” discusses how to attack against low block teams. 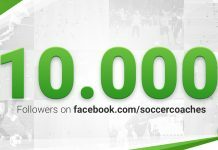 There are numerous duels in soccer between uneven teams – David versus Goliath. Thereby, it is not uncommon that “David” chooses an extremely defensive tactic with the single aim to prevent any goals against. 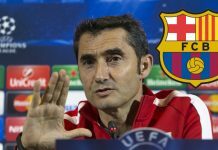 Coaches used to operate with a back four, but recent trends show that now, coaches even utilize a back chain of five players, which promises an increase in the stability of the defense. Teams like Atletico Madrid regularly make use of such tactical alignments. They draw back deeply and defend in a compact formation with an intense manner so that a breakthrough seems impossible. 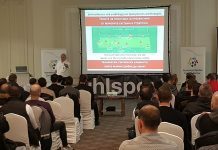 Due to this reason, the by now fifth part of the series “German Top Level Tactics” deals with the tactical play against deeply defending opponents. 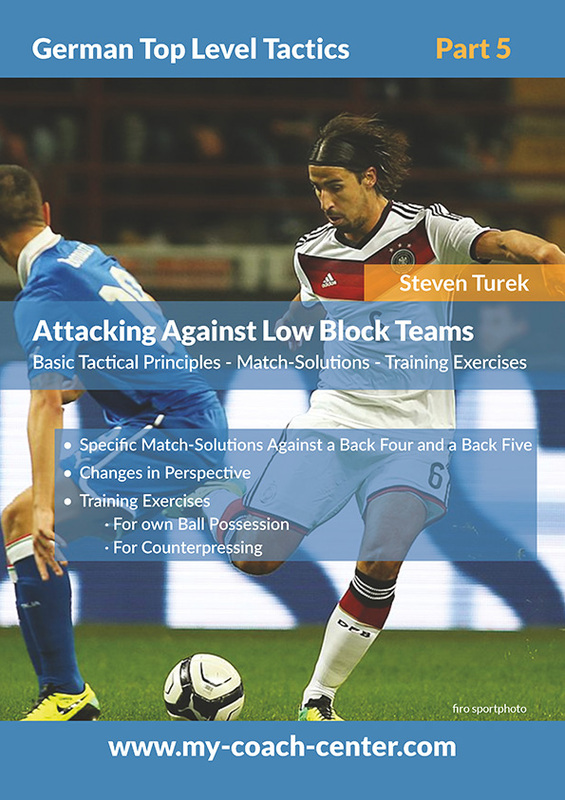 You will find detailed tactical ideas against low block opponents in the known segmentation (principles – solutions – exercises). A concrete differentiation takes place in view of the chosen tactical formation of the opponent. Thus, you can find tactical solutions against a 4:4:2 as well as solutions against a 5:4:1, which strongly differ in their constitution and execution. To change the perspective and analyze how the opponent will probably defend in their tactical alignment of a back chain of four or five players shall further contribute to the understanding. The already known counter pressing could play a major role in the operation against a low block team – also to score goals. Thereto, you find concrete examples of exercises in the practical part. 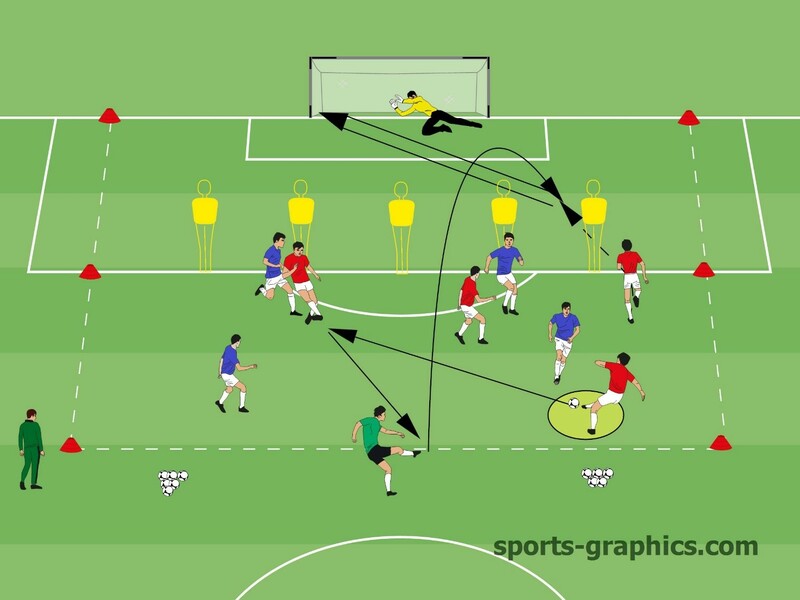 In this section, you also find various exercises, which aim to improve the creation of goal scoring chances. The behavior in and around the penalty box. 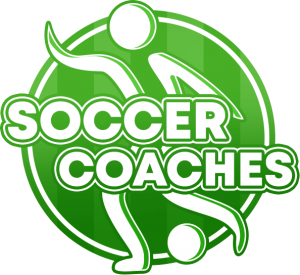 The last part provides several competition-like exercises and games – adjusted to the play against a back four or a back five and strategies to improve counterpressing. In a general view from attacking strategies, different offensive possibilities emerge for each different space on the pitch. Especially the in-between pockets directly flanking the penalty box provide clearly more possibilities than any other space. For one, theses spaces provide numerous passing options. The ball can be dangerously crossed into the penalty box; gap passes can be realized or the ball can be forwarded to one of the wing players. The short distances between the players increase the probability of successful finishes. Cross Towards the Far Post, Dribbling or Dribbling with a Finish! For the other, promising possibilities emerge from the dribbling such as a finish or a cross towards the far post. Especially a cross would not have been possible from the center. Change in Perspective: If the ball is situated in this position, the defensive team must adjust to an upcoming attack. This wealth of possibilities is distinctly harder to defend than, for example, a situation on the wing with the only option to cross the ball. Organization: In the marked field, up to the penalty box, a 4 vs 4 plus one utility player is played with the aim to keep the ball as long as possible in own possession. After three successive passes, the utility player is allowed to play a chip ball into the box, who is headed to and finished by a teammate. As soon as the chip ball is played, a player of the other team gets a ball from the depot and opens a play in temporary numerous advantage. Coaching: Next to the quality of the chip ball, the focus lays on the competitive like and quick finish of the attacker. If the players react quickly and rapidly reopen the play, a dynamic play with many finishes and repetitions is created. Variation: Next to an attacker, also a defender runs into the penalty box.